Taro Iwashiro’s rousing soundtrack to John Woo’s epic Chinese adventure. 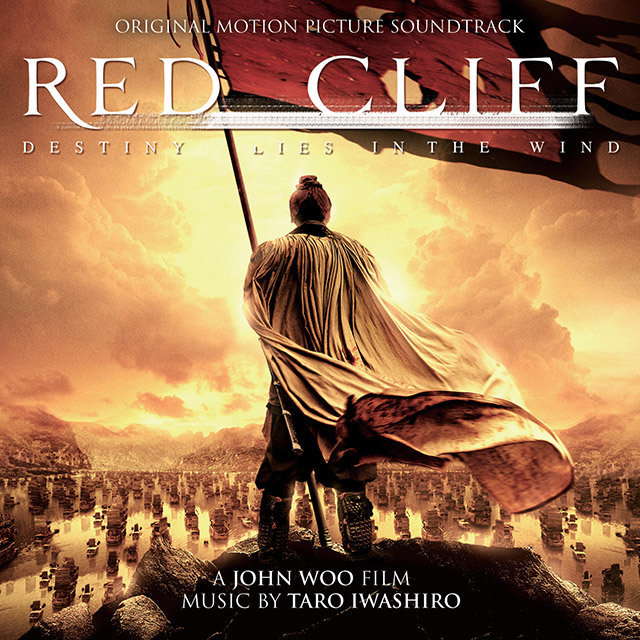 Iwasharo’s soundtrack is the Winner of Best Original Film Score at the 2009 Hong Kong Film Awards. The score is performed by the acclaimed Tokyo Metropolitan Symphony Orchestra and the film’s main themes feature the performance of Chinese J-Pop star alan. John Woo is best known for big budget Hollywood movies Face/Off and Mission: Impossible II. Tarô Iwashiro is an accomplished film composer and his scores include Shinobi: Heart Under Blade, Azumi and Memories Of Murder.